Budding music critic Dotore Gianni strikes again! And the third time, they say, is the charm. A week ago I had yet another fine musical experience, this time at a concert featuring the full Greenville Symphony Orchestra (GSO), and I’d like to tell you a bit about it. with 2100 seats larger than any Broadway theatre. The largest of those is the Uris, with 1933 seats. So the Peace Center is a large venue, and an acoustically fine one, at least to my relatively inexperienced ears. In Broadway houses, which I DO know well, everything is mixed electronically, vocals, dialogue, orchestra, and it always takes me a few minutes to stop hating the “canned” aspect of the sound, no matter how well canned it is. Oh for the days of Ethel Merman, no microphones at all, when singers just belted out over the pit orchestra, when orchestrations were managed so that audiences could hear singers even when they didn’t have voices like Merman’s, which was gigantic. When I think of her singing a song like “Blow, Gabriel, Blow” from Anything Goes – wow! Let’s just say that I take great pleasure in listening to an un-amplified and excellent orchestra in a large concert hall. The pieces that Maestro Tchivzhel chose for the 2100 seat concert hall at the Peace Center certainly suited that space and certainly suited the full GSO as well. The concert was titled “German Giants” and giants of classical music all three of them are. Beethoven, Mendelssohn and Brahms are names that anyone at all familiar with the classical repertoire instantly recognizes. I was certainly excited to hear work by these masters and had rather high expectations when I entered the theatre, particularly after the wonderful experience I’d had just two weeks earlier at the concert of chamber music by a more compact version of the GSO. All expectations were met, and at one point at least exceeded. The Maestro opened the concert with…well I was going to write “Beethoven” but in fact I was surprised when he turned to the audience, indicated for us to stand, and led the orchestra in a full-bodied “Star Spangled Banner!” Actually my old pal Bruce Halverson had mentioned this to me, as Tchivzhel begins every full orchestra concert with this piece. Those of you who read my blog on my first encounter with Tchivzhel, in the Oktoberfest concert a few weeks ago, may be able to guess why. To remind those readers and to let others in on the probable reason, the conductor is Russian and began his career in the mid-1970s in St Petersburg, then known as Leningrad, for the Soviet revolutionary and first leader. Tchivzhel gained a reputation in venues throughout that great city, including the Mariinsky Theatre, at the time called the Kirov, for the popular soviet leader who was assassinated, many believe by a jealous Stalin. In 1992 the name reverted to Mariinsky, named at its conception in 1860 for the Russian Empress Maria Alexandrovna. Mariinsky…a much nicer name than Kirov, don’t you think? It was and remains one of the great and among the most beautiful venues for opera and ballet in the world. 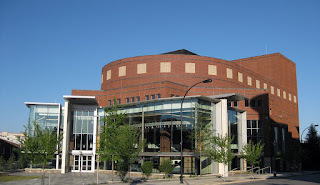 I was lucky enough to see a ballet there in November 2000 – memorable! 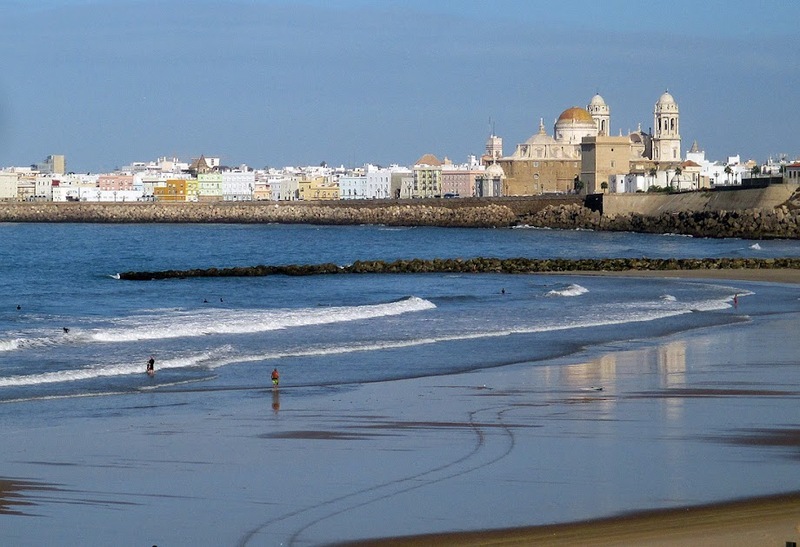 The theatre historian in Dottore Gianni caused above minor diversion, which he will resist the strong urge to continue. It can however be linked to Tchivzhel, in that after establishing his reputation in St Petersburg he became known in wider circles, first in Soviet Russian then in satellites of the Soviet Union, and towards the end of the Soviet era to western venues as well. In 1991 while on a tour of the U.S., Tchivzhel defected to this country, aided largely by friends in Greenville, S.C. The Maestro is a very patriotic American and insists on beginning each concert of the full symphony with our national anthem. I will confess to being slightly put off by this. I’m not unpatriotic myself, though patriotic zeal has led to super-nationalist leanings all too evident in many citizens of this country and in many countries as well – overly nationalistic feelings can lead ill-advisedly to ill-advised wars and from there…well, that’s a story for another blog! Back to the concert! I was put off a tad by the national anthem beginning a concert of classical music, as that piece is far from classical and seems a better choice for the opening of baseball games and such. I was also somewhat annoyed that instead of chatting with the audience as he had done in the chamber concert, Tchivzhel was much more formal in this setting, and addressed us not at all. So on two counts he and the orchestra had to win me over, which to my relief they managed to do quickly and winningly in their rendition of Beethoven’s Leonore Overture no. 3, op. 72b. Ludwig van B, composer of fiery Romantic music, personality fiery and Romantic as well, was born in Bonn, 1770, died in Vienna, 1827, studied under Franz Josef Haydn, became a virtuoso pianist, entertaining aristocratic families as well as large audiences, began to go deaf at the tender age of 26 but continued to play and to compose: 9 great symphonies (the last ending with a brilliant chorale, the Ode to Joy), 5 piano concerti, 32 piano sonatas (including the “Moonlight” and “Pathetique”), 16 string quartets, other pieces for orchestra and chorus including masses such as the Missa Solemnis – and only ONE opera, called first Leonore, later Fidelio. But others objected, saying that the play must be produced. One of the most vocal was Marie Antoinette…whoops! Danton was speaking of another revolutionary play, Charles IX, performed shortly after the Revolution began in 1789, but the point here is that Figaro the play WAS in fact a catalyst for the French Revolution, and Figaro the opera was trimmed of political sentiment by librettist Lorenzo da Ponte, who knew that were it not self-censored, the rulers of Hapsburg Vienna would either censor or ban it outright. Yes, Dottore Gianni, you loquacious as well as sagacious fellow, but get to the OVERTURE, which methinks is what you wanted to write about before you embarked on this pedantic aside! Right! 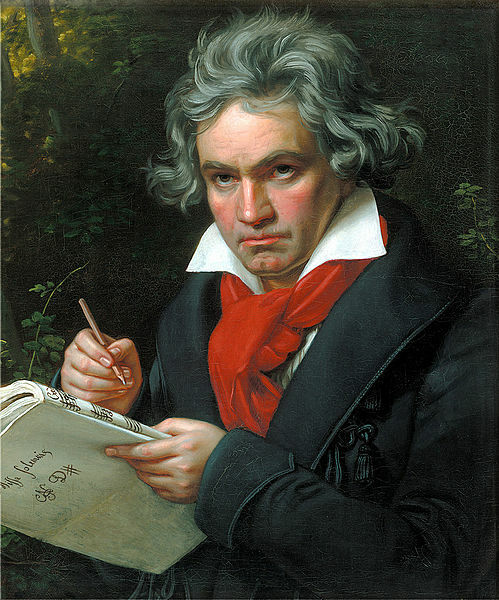 While Beethoven wrote only one opera, he felt the need to compose four different overtures for it. All are variations on the same piece, but Leonore Overture no. 1 op 138 was judged a failure at an audition viewing of the opera before Prince Lichnowsky. Leonore No 2 op 72a was a variation that was actually used at the 1805 premiere, but was thought too complex for the audience, though the opera itself was a very complicated and innovative piece of music. Number 3, op. 72b, the one we heard last week, is the most famous of all, frequently played in concert halls today, and acknowledges as a master work, but brilliant as it is, it too was found too complicated in 1805. One newspaper critic said of it, “No one has yet written such incoherent music, ostentatious, chaotic and disturbing for the ear…” And even the composer Cherubini, who worked on the production, admitted that he could not establish its tonality due to the multitude of modulations. Number 4, op. 72c, is the overture Beethoven wrote for performances in 1814, and is today the one that is generally played before the opera. Interestingly, Gustav Mahler, who like other conductors respected Beethoven’s final choice, number 4, admired number 3 and performed it between the two scenes of act two, as a sort of reprise of the rescue which had just taken place. This practice was followed for some time, but while there are exceptions, is now seldom performed within the opera. How’s that for a complicated bit of operatic/music history? And now, what you’ve all been waiting for: Dottore Gianni’s review! Here it is: I liked it very much, particularly the blistering pace of the final moments of the overture, finishing it with a dramatic flourish and bravura. Hmmm…if you look quickly again at the review and then scroll up to see how many words are used in the lead-up to it, you will see clearly that the good doctor is a much more able historian than a critic, and more interested in description than critique. So it goes and so it will probably continue. commissioned for a performance of the play in 1843 which was directed by innovative Geman director Ludwig Tieck. Mendelssohn had written an overture for the play in the 1820s, and now incorporated that music into the incidental music and songs he created for the Tieck production. The Wedding March that the composer penned is still played at weddings today. It’s that or Wagner’s, unless you’re more adventurous in your choice of music for matrimonials. For a long time, traditional productions of Midsummer utilized what Gary Jay Williams, my theatre history professor at Catholic University, where I received my M.A. in Theatre History, used to call “moonlight and Mendelssohn” – Max Reinhardt’s 1935 film version certainly does (as well as utilizing Mickey Rooney as Puck, James Cagney as Bottom, and other interesting casting choices – oi!). Then along came Peter Brook in 1970 and dusted the cobwebs off the play and its productions, setting the whole thing in a great white box, which revolutionized...oh! 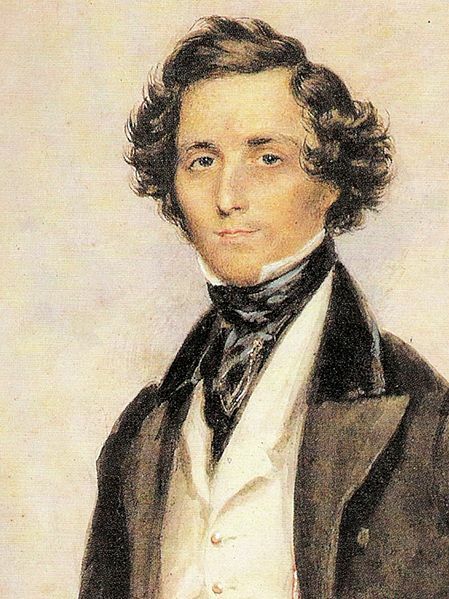 In addition to an Italian Symphony and Midsummer, Mendelssohn wrote an equally popular “Scottish” Symphony, several concerti and chamber music pieces, along with two oratorios, St Paul and Elijah, both influenced by Bach, several songs, some set to poems by Goethe, and the interesting “Songs without Words,” solo piano pieces of extreme beauty and popularity. He was, in short, one of the great Romantic composers. His music was ignored to a point by an increasingly anti-semitic public, even by fellow composers (Richard Wagner damned his music with faint praise just three years after Mendelssohn’s death) and the Nazi regime banned all performances and publications of his work. Even in the 1960s more than 700 of his works remained unpublished, but in the last 50 years his star is shining again. It certainly does in the Italian Symphony, the result of a visit to Italy in 1820-31. The rather slim notes on it in the GSO’s season program call it a “sunny” symphony, and I suppose that’s not unfair, though it’s a more complicated piece than that. The difference from a “sunny” first movement to what I’d call a rather dark second movement is pronounced. The first three movements are marked more or less traditionally, but the fourth reads: “Saltarello, Presto.” Presto is not at all unusual, but saltarello requires a bit of explanation, and is probably the most Italian aspect to this Italian Symphony. The saltarello is a lively Neapolitan dance, played in rapid meter, that is characterized by leaping steps. The word saltarello as Dottore Gianni knows well, comes from the Italian verb “saltare” which means to jump. And jump the last movement does! Maestro Tchivzhel took presto to a near prestissimo, so much so that the woman seated next to me whispered, just as it finished, to her partner, “I’ve never heard it taken so fast!” She seemed nearly breathless. It was a great finish to the first half of the concert. As one who is entering the “troubling old age” phase, I can’t help but agree with the sentiments. Anyway, here is an instance when Brahms reaches beyond academic tedium into the sublime, sophisticating a simple song into a triumphant orchestral finale. He dazzles similarly, and then some, in the last movement of Brahms’s Symphony no. 1. But readers! You’re not getting off the hook without a brief bio! 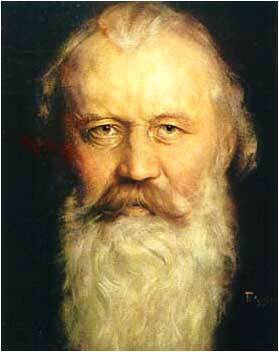 Brahms (1833-1897) was born into poverty in Hamburg Germany. To ease his family’s financial burdens, when he was an adolescent Brahms played piano music in dance halls. While this “shocking” portion of his life was played down by his early biographers (“people don’t DO such things), it’s been suggested that the composer’s early contact with dance halls and those who frequented them was partly to blame for his failure to sustain relationships with women, and for the fact that he never married. He certainly rose above his impoverished status as a youth. Composer Robert Schumann became aware of his work when he was only 20 and predicted that the young Brahms “’was destined to give ideal expression to his times.’” This flattering remark, which implied that Brahms would become the next Beethoven, may have added to Brahms’s perfectionism, which led him to re-write often and destroy that which he thought inferior in his work. He did not want to disappoint Schumann, and for that matter the world. He remained friends with Schumann, but more interesting was the relationship between Brahms and Schumann’s wife Clara, a virtuoso pianist, with whom Brahms, 14 years her junior, carried on a passionate relationship. Brahms’s father had married a woman 17 years his senior…perhaps this obsession with older women ran in the family? Whatever you think of that insightful analysis by Dottore Gianni, after Robert Schumann’s death Brahms moved in to an apartment in Clara’s house and spent two years there. The exact nature of their relationship remains unclear, primarily because the two of them burned their letters to each other. Could it have been romantic? In a Romantic era it was certainly possible. In spite of this dalliance, if that it was, Brahms became one of the best respected composers of the late nineteenth century, famous for symphonies as well as chamber music, for many songs (lieder), for secular and religious choral work, partiularly the German Requiem, and maybe most famous for his Hungarian Dances. Stylistically Brahms greatly admired earlier composers Mozart and Haydn (well, who wouldn’t?) and he wished to bring classical order that they represented into Romantic music. His excellence at counterpoint he owed to an extent by studying Bach, who practically invented the technique. Above all he adored Beethoven and was said to have walked like him, with his hands behind his back. Like Beethoven he was sarcastic and short with other people and frequently alienated them. And like his idol, Brahms loved to take walks in the forests. Was that the good doctor’s introduction to Brahms? Possibly, though being an intellectual snob in high school Dottore Gianni may well have already been introduced to this composer, who has been referred to as one of the “three B’s” of classical music, along with Bach and Beethoven. At any rate, Brahms’s woodland wanderings led to beautiful music such as was written for that song. a Russian linguist. Near the end of the 1960s they moved with another airman, Brian Chase to an apartment in Silver Spring, MD, right on the DC/MD border that had belonged just before to the doctor’s sister and her first husband. Brian enjoyed contemporary music, but Ernest and the doctor loved classical music, and the two of them bought the least expensive subscription (we were after all starving airmen) to concerts by the National Symphony, conducted at that time by Antal Dorati, at the D.A.R. Constitution Hall, and there they heard Brahms, more than once. Brahms became one of Ernest’s very favorite composers, and he bought all of Brahms’s symphonies on vinyl discs. What else were there in those days? So we heard a lot of Brahms during those years. Alas Ernest died young, of AIDS, really before the disease had been named. None of us, not even Brian and I, knew that he was gay during the time we were living together. We threw big parties every other weekend, but they were very heterosexually oriented (also very oriented towards marijuana, but that’s another story). At some point of the evening Ernest would excuse himself, saying he wanted to take a drive. Drive he did, down to the Foggy Bottom neighborhood of DC, which at the time (and who knows? Maybe still today) was an area in which young gay men could meet. Was it then that he contracted AIDS? Perhaps not, but it gnaws at Dottore Gianni to this day that one of his best friends was gay and was afraid to tell him. Ah well, here’s to Brahms! Not just in memory of J. Ernest Harper, but certainly partly so. Rest in peace, both of you. Continuing the admiration for and imitation of Beethoven on Brahms’s part, it took the composer longer than most to tackle a full symphony. Not that he wasn’t already a fine composer. His beautiful German Requiem, which put him on the map musically, was completed in 1869. It was obvious that he could tackle major compositions, but his Symphony no. 1 was not performed until 1876. According to the GSO program notes Brahms told a friend once: “I shall never write a symphony. You have no idea how people like me feel when we hear the steps of a giant like him [Beethoven] behind us." Fortunately for us he DID write a symphony, four in fact. Brahms’s first symphony has often been called Beethoven’s Tenth! There are several reasons for this, and Dottore Gianni would explain them if they didn’t fly right over his head in terms of understanding! But one connection is clear, even to the good doctor. The fourth movement is marked in a more complicated manner than are the first three: Adagio; Piu Andante; Allegro non Troppo, ma con brio – translated that would be: slow and stately; then a walking pace, but a little more quickly than normal (piu); next fast, quickly and bright, not too much so (non troppo), but (ma) with vigor and spirit (con brio). While Brahms knows how to use the full orchestra, and while Tchivzhel certainly knows how to make the best use of the GSO, I found the first three movements, some of which were familiar to me (thanks Ernest!) fine, and certainly well played, but as I noted above, a bit ponderous. The fourth, on the other hand, is one of those “best of Brahms” movements. It begins slowly, ominously even, but segues from C Minor (remember, the full title of the piece is Symphony no. 1 op. 68 in C minor) to C Major. It’s a stunning transition, as the program notes state, “as if the sun were bursting through dark clouds,” and it’s at this point that the main theme of the final movement is introduced. I’ll quote the notes again: “a hymn-like melody that recalls Beethoven’s ‘Ode to Joy’” – and if the reader will recall where the “Ode to Joy” comes from – it’s the final movement of Symphony no. 9. Thus, Beethoven’s Tenth! The program notes tell us that when a friend of Brahms pointed out that this portion of the movement reminded him of the “Ode to Joy” Brahms snapped back “Any fool can see that!” And Dottore Gianni qualifies, if not as a music critic, as any fool. The music builds, develops and then simply soars. Brahms for people who hate Brahms. What a grand way to end a movement, a symphony, a concert. It’s left me more than ready for more, and more I’ll get next week, in fact at precisely this time, as I end this post, exactly one week from today, when it’s back down to chamber concert level, an all-Mozart program at the Gunter Theatre. This will not be hard to take because, like Brahms adored Beethoven, Dottore Gianni adores Mozart. Admission: I don’t know if anyone is actually reading this, and I don’t really care. I know a lot about theatre history, but I resolved to teach myself more about art history and music history in these my declining years. Going to the concerts and then researching and writing about them is proving a wonderful and active way to learn more about music. I’ve worked pretty much all day yesterday and today – nearly 4 pm – time for tea! And while it’s for no really useful purpose, it’s been if not an ode, a joy.